Getting my trim on! A subject that can not be covered enough. A you can see with this lovely warm summer days comes rapid growing foliage. During these fast growing periods it’s good to keep you hand on the excess growth of the trees and to remove them weekly. This is very important as the more foliage you allow on the tree the more water the tree uses. If the tree has a lot of foliage you will find that the leaves of a tree will weep much easier in this heat. Here is a photo of the tree in the feature photo after it was trimmed. Author africanbirdingPosted on November 2, 2018 Categories GeneralLeave a comment on Getting my trim on! A subject that can not be covered enough. Old, Imported Japanese Black Pine gets a repot – Bonsai Tree (Pty) Ltd. 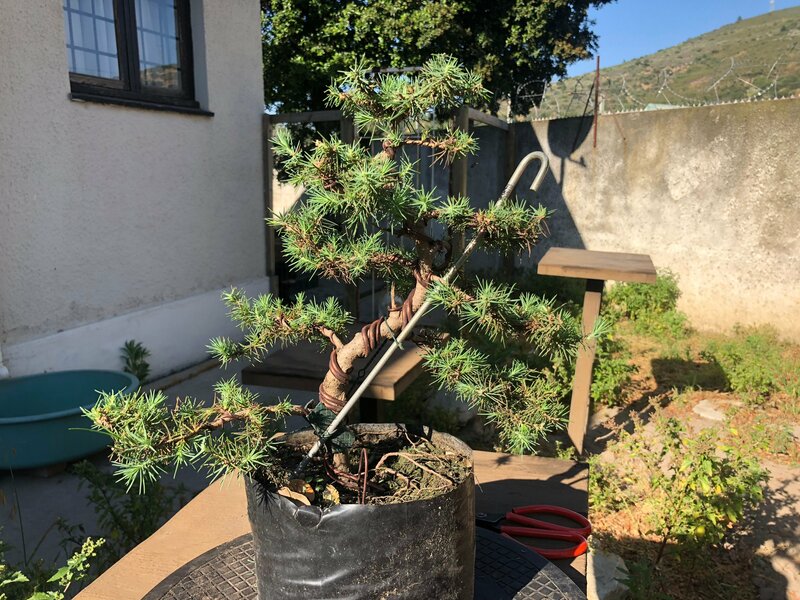 Author africanbirdingPosted on November 2, 2018 Categories GeneralLeave a comment on Old, Imported Japanese Black Pine gets a repot – Bonsai Tree (Pty) Ltd.